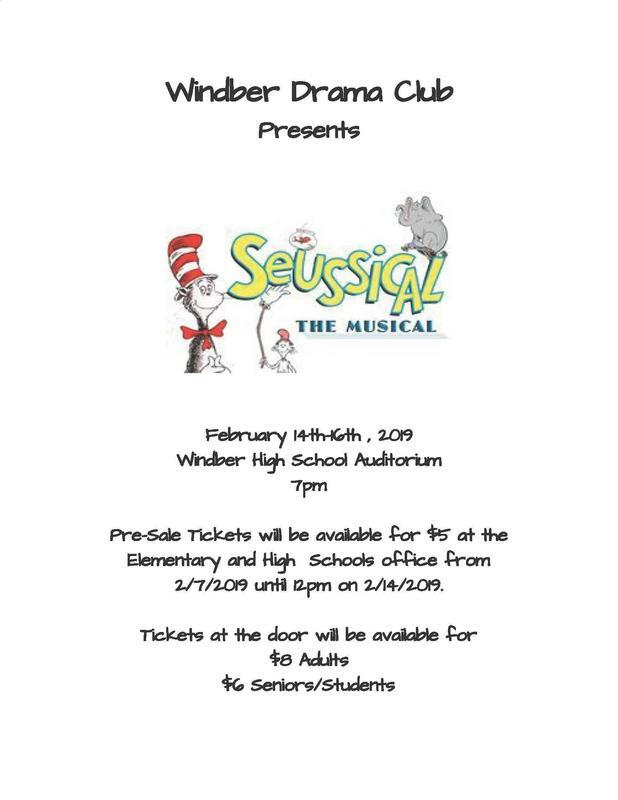 Windber Area School District Drama Club will present Seussical the Musical in the high school auditorium on February 14th to 16th at 7:00pm. 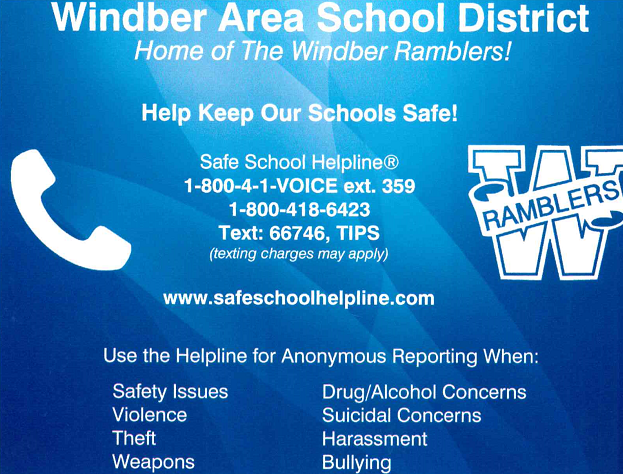 Pre-Sale Tickets will be available for $5 at the Elementary and High School Office from 2/7 until noon on 2/14. Tickets are available at the door for $8 Adults and $6 Senior Citizens and Students.